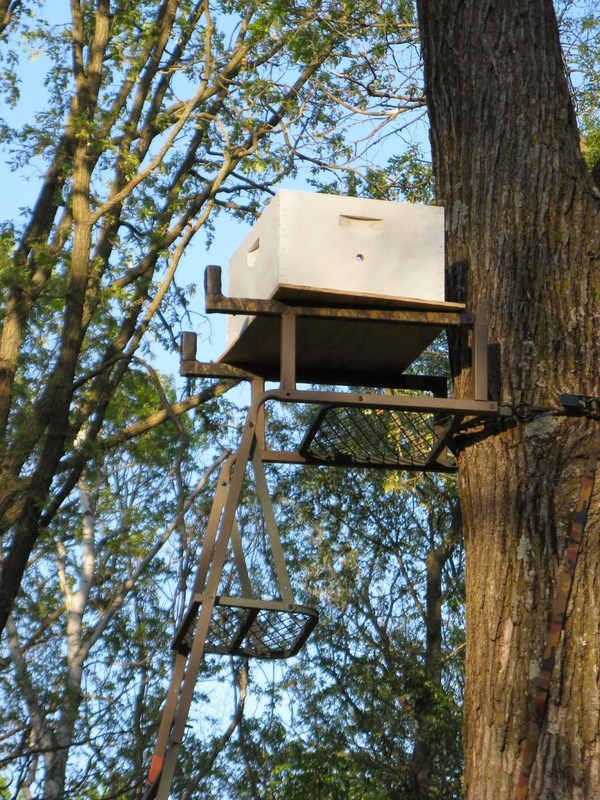 Now is a good time to look for a deer stand to use as a swarm catching platform. Many outdoor retailers are putting deer stands on sale right now because the hunting season for the most part is over. Deer stands work great for a swarm catching platform, some come with ladders to make retrieval easier. Putting a hive box 8 feet off the ground is the perfect height to catch a swarm. Catching several swarms over a couple seasons should pay for the deer stand with the extra honey a beekeeper could possibly get. Every year around the holidays I make a large batch of creamed honey. I give it out to friends, family, and vendors that I have worked with. The creamed honey is always well received. I caught this doe and buck on my trail cam. Nice short video, great contrast with the snow. Double click on the video for full screen.